A brief description of fluid dynamics is presented for a general audience. Within the context of fluid dynamics practice, the distinction is made between general (weak) models and specific (strong) models. Three historical options concerning a working definition of validation are briefly considered. Current validation practice in fluid dynamics is described based mostly on ASME V&V 20-2009, an ANSI Standard document. Model form uncertainty and other epistemic uncertainties, while sometimes important in model applications, are argued not to be important issues in validation. 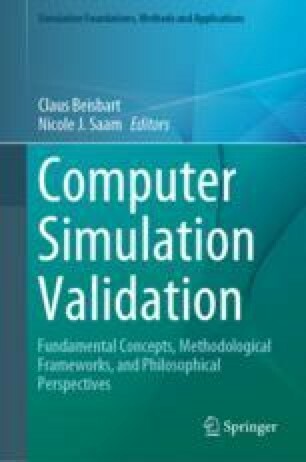 The weakest link in validation practice is claimed to be the reluctance, by both experimentalists and computationalists, to go beyond use of nominal set point data. This is clarified by the paradigm of experiments designed specifically for model validation. Coding features that facilitate model validation are described. Counter arguments are given to claims, based on extrapolation of the philosophy of falsificationism, that validation is impossible even in principle. I gratefully acknowledge help from C. Beisbart, L. Eça, and N. Saam. Glanzberg, M. (2006). Truth. In Stanford encyclopedia of philosophy. http://plato.stanford.edu/entries/truth/ (June 13, 2006).